Howard University -- Washington, D.C. 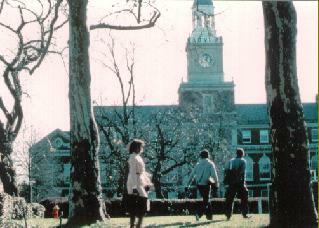 PURE NEWS USA is circulated at many colleges and universities in the state of Illinois and throughout the country, including Howard University (pictured above); Spelman College; and Morehouse College. These institutions of higher learning are on the Information Superhighway, which means "computer access and on-line communications." In other words, we can send and receive E-mail to track the accessibility, the location, and the supply of PURE NEWS USA on each of the campuses. Students are our future leaders and breadwinners of tomorrow. They wear advertised jeans and advertised tennis shoes, drive advertised cars, eat advertised cereal, brush with advertised toothpaste, and the "advertising" goes on and on and on. Therefore, Historically Black Colleges and Universities are another primary link for PURE NEWS USA.